$395 or $19.99? The Barrington Atlas of the Greek and Roman World for your iPad! A few weeks ago I was alerted to the fact that the Barrington Atlas of the Greek and Roman World was available for the iPad—at $19.99. This is THE best atlas of its kind and the hard copy edition sells for $395.00! Often I have found that many books that I purchased for my iPad, especially Kindle books, are really “clunky” to navigate! Try sorting through a Kindle version of any Bible Dictionary/Encyclopedia—an exercise in futility! BUT the Barrington Atlas of the Greek and Roman World is DESIGNED for the iPad and I have found it a “joy” to use. Instead of rewriting all of its features I have reproduced the AppStore’s description of the product. One item that I really like is that it has a very accessible index—that really takes you to the place on the one or two maps where the place appears (not hundred’s of meaningless citations—as in a typical Kindle product). The coverage is from the Scotland to Ethiopia to the Indian subcontinent! Hailed by the New York Times as “the best geography of the ancient world ever achieved” and deemed by classicist Bernard Knox to be “an indispensable tool for historians concerned with ancient times” as well as “a source of great pleasure for the amateur,” the unsurpassed Barrington Atlas of the Greek and Roman World is now available in digital form as a full-featured app for the iPad. Including all the content of the $395 print edition of the Barrington Atlas, app makes this essential reference work more portable and affordable than ever before possible. In 102 interactive [CR: detailed, with Roman roads] color maps, this app re-creates the entire world of the Greeks and Romans from the British Isles to the Indian subcontinent and deep into North Africa. Unrivaled for range, clarity, and detail, these custom-design maps return the modern landscape to its ancient appearance, marking ancient names and features in accordance modern scholarship and archaeological discoveries. Geographically, the maps span the territory of more than seventy-five modern countries. Chronologically, they extend from archaic Greece to the Late Roman Empire. A must-have for scholars, this app will also appeal to anyone eager to retrace Alexander’s eastward marches, cross Alps with Hannibal, traverse the Eastern Mediterranean with Saint Paul, or ponder the roads, aqueducts, and defense works of the Roman Empire. Designed exclusively for the iPad, the app uses the latest technology and is available iPad 2 and above. •Compatible with iPad 2 and above. A Very Useful Web Site of Ancient History — More Traffic than the British Museum or the Louvre! is to improve history education worldwide by creating the most complete, freely accessible and reliable history resource in the world. Currently they have around 200 articles on the Near East— articles that “cover the cradle of civilization, home of the first empires, and the world’s oldest cities.” They also have 330 articles on the Greco–Roman world. The articles are well–written, informative, and accurate. They are peer reviewed. I follow them on Twitter @ahencyclopedia where they seem to announce new articles as they become available and usually draw attention to one “older” article (like from the past few years) each day. The lengths of the articles vary, but they typically seem to be a 5-15 minute read—depending on how familiar one is with the topic. There is a search engine on the web site. BTW – you are invited to follow me on Twitter “@go2Carl”— I only post one or two “tweets” a day—if that. Read more about our audience in our media presentation. We work to engage the digital generation: We are telling exciting historical stories using text, video, interactive features, social media and mobile apps. Every submission to the encyclopedia is carefully reviewed by our editorial team, making sure only the highest quality content is published to our site. We aim to inspire our readers with the stories of the past, making history engaging and exciting for everyone. Our publication follows academic standards, but written in an easy-to-read manner with students and the general public in mind. Ancient History Encyclopedia is entirely run by dedicated contributors and volunteers from all over the world. Our multi-cultural team is as neutral and as objective as possible, which is why we’re a completely independent organization. Ancient history is only the start: We are working to create the world’s leading general history resource, covering all time periods of human history, freely accessible on the internet. Education is at the core of what we do, which is why we aim to provide more useful tools to teachers and students, such as interactive content, videos, mobile apps, and teaching resources. We also plan to make our content available in other languages and other formats, such as printed books. 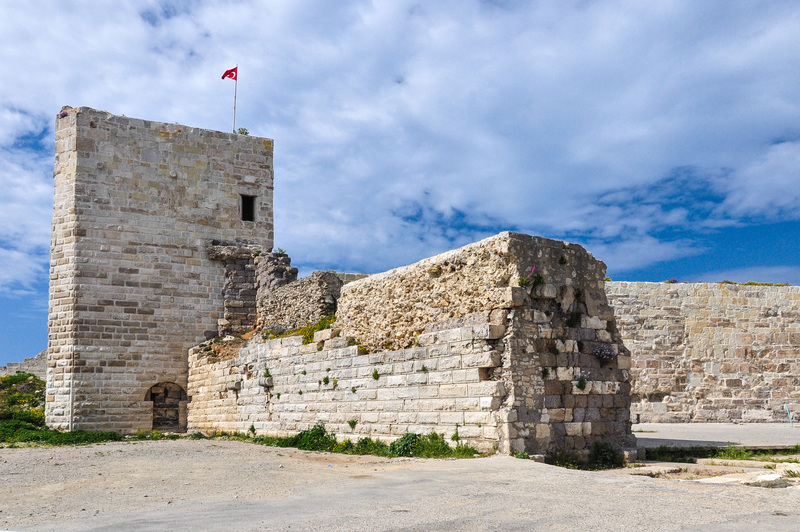 Sinope — a Church of 1 Peter in Northern Turkey? Bithynia, Paphlagonia, and Pontus were regions along the southern shore of the Black Sea that were merged into the Roman senatorial province of Bithyna et Pontus. Jews from this region were present in Jerusalem on the Day of Pentecost (Acts 2:9) and on Paul’s Second Journey Paul, Silas, and Timothy “… attempted to go into Bithynia, but the Spirit of Jesus did not allow them” (Acts 16:7). From 1 Peter 1:1 we learn that Peter addressed Jewish believers in this province as he wrote his epistle and it is probable the Silvanus carried the letter to churches in the provinces of Pontus, Galatia, Cappadocia, Asia, and Bithynia (1 Peter 5:4). 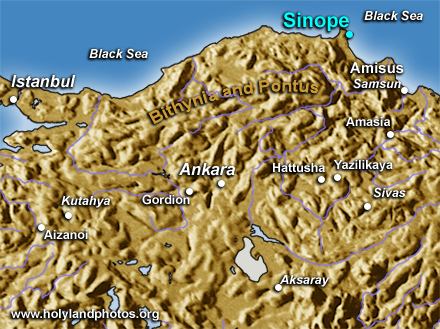 Sinope was a major city in this area and “. . . was a certain stop in Pontus for the messenger carrying Peter’s first letter” (Wilson p. 342). Politarchs (Acts 17:6, 8): Luke gets it right—as usual! 4 Some of the Jews were persuaded and joined Paul and Silas, as did a large number of God-fearing Greeks and not a few prominent women. This inscription, dated to the second century A.D., lists six Politarchs (“Rulers of the Citizens”) among other officials. Click on Image to Enlarge and/or Download. This term, “politarch,” is used (correctly!) by Luke in Acts 17:6, 8 of officials in Thessalonica. The inscription is from an old Roman arch that was part of the old Vardar Gate that was torn down in 1876. The inscription was given to the British Consulate and eventually presented to the British Museum. 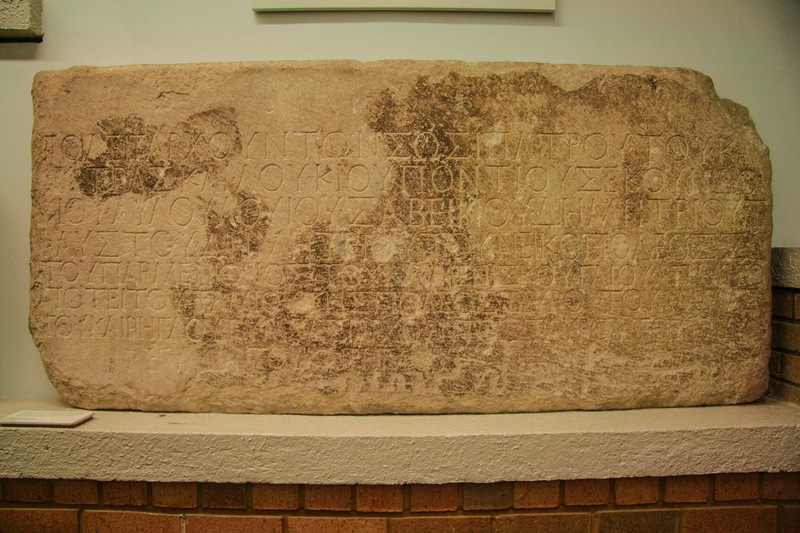 Explanatory information from Fant, Clyde E., and Mitchell G. Reddish, “Politarch Inscription at Thessalonica,” pp. 366–70. Lost Treasures of the Bible — Understanding the Bible Through Archaeological Artifacts in World Museums. Grand Rapids, MI: Eerdmans, 2008. They also have provided a translation of the inscription on page 367. To view/download 12 high resolution photos of Thessalonica Click Here. Bill Schlegel, the author of the Satellite Bible Atlas, has made available to those who own his Atlas two wonderful teaching tools. The first is a complete digital set of the maps that he produced for use in his Atlas. One of the questions that I frequently receive is “where can I get maps that I can use in my PowerPoint presentations?” Well, these certainly are useful for that purpose. 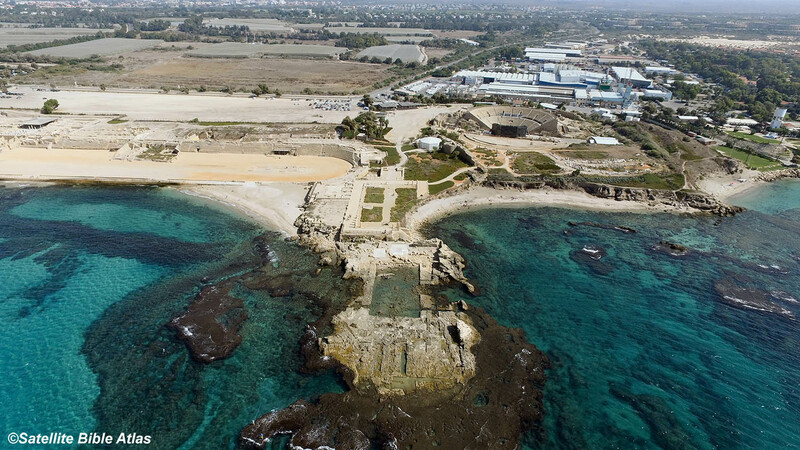 View of Caesarea Maritima looking east. In the foreground, protruding out into the Mediterranean Sea is the Herodian Palace. Behind it to the right is the theater and behind it to the left is the Stadium/Hippodrome/Circus. Courtesy of Bill Schlegel, Satellite Bible Atlas. Recently he has also made available 70 Aerial Photographs of sites of biblical significance. They are also free to download (for owners of his Atlas). They are of good resolution and will be useful for personal use and (again) in PowerPoint presentations. Each image is 300-400 KB in size. He took them in very clear weather using a drone. Along with the 70 aerial photos is a pdf document with an entry for each of the images. Each entry, after naming the image, provides a short synopsis of the biblical importance of the site. Most of the images are of sites that most travelers to Israel will have visited, but there are also a few of not–so–frequently visited places, such as: et–Tell, Maqatir, Dothan, Timnah, Wadi Farah, and Tel Serah (Ziklag). He has also produced numerous teaching/learning videos that I have previously noted. William Schlegel’s Satellite Bible Atlas can be purchased here. As Christmas approaches I thought I would repost a few relevant blogs. Most will have to do with content, but here are some gift ideas. I am grateful that recently some other bloggers (here and here) have recommended my two atlases so I thought I would use today’s blog to mention them and some other books as well. 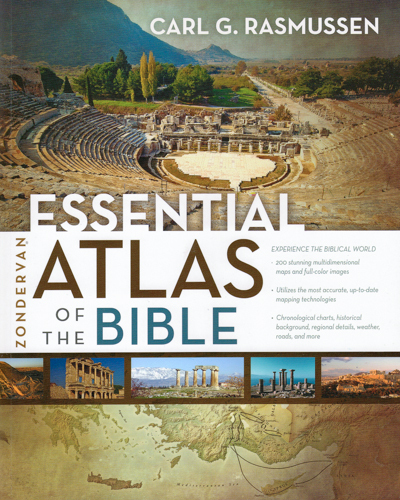 Last year Zondervan released my Zondervan Essential Bible Atlas. this is a distillation of my more complete Zondervan Atlas of the Bible and includes all of the important maps, commentary, pictures, and timelines. It was designed for easy reference, personal Bible study, and is light weight enough to carry on a trip to the Holy Lands (recent amazon price – $15.53 paper). My more complete Zondervan Atlas of the Bible (2010; Hardcover $27.28; Kindle $24.99), besides being available in print, is also available as an “app” for iPad, iPhones, Androids, Macs, Windows Desktops, and Windows Store. 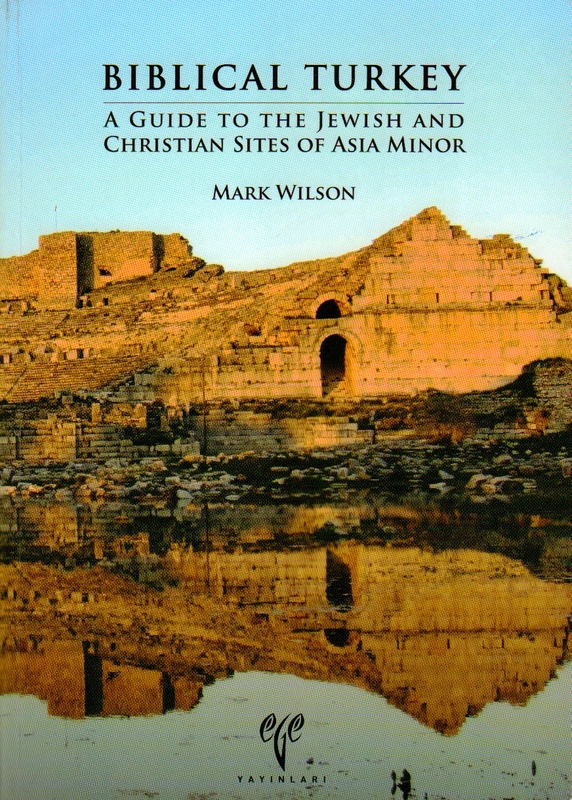 For those traveling to Turkey, Mark Wilson’s Biblical Turkey — A Guide to the Jewish and Christian Sites of Asia Minor is the best resource available (amazon $20.94 [a big price drop]). 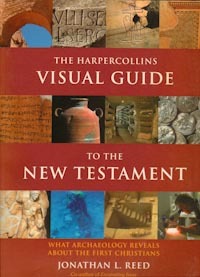 And for the whole New Testament, I continue to recommend Jonathan Reed’s The HarperCollins Visual Guide to the New Testament. (a STEAL at $2.08+shipping!! ).